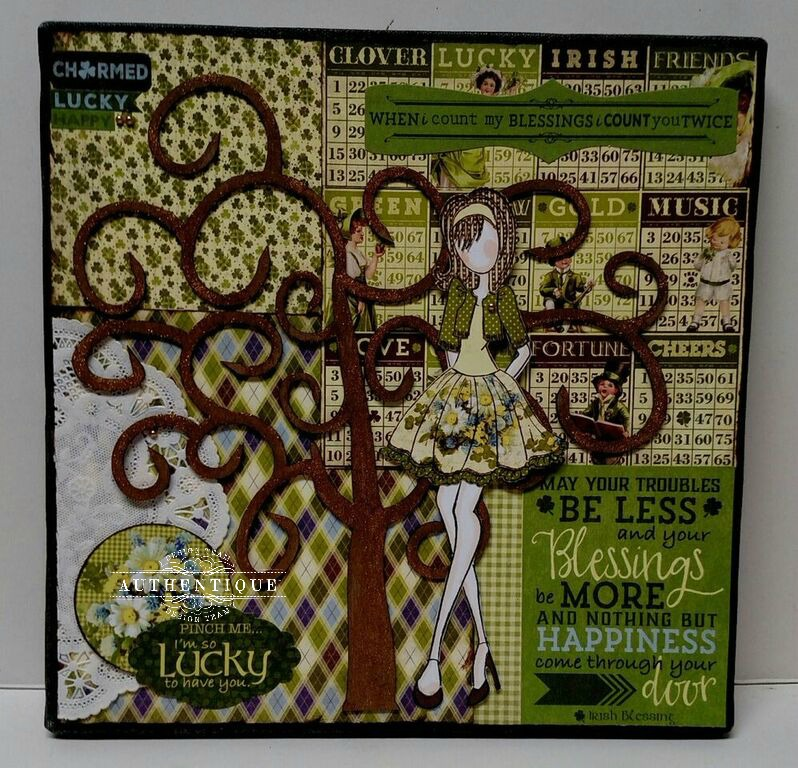 Lucky Canvas Project with "Charmed"
"Top o the morning to you." 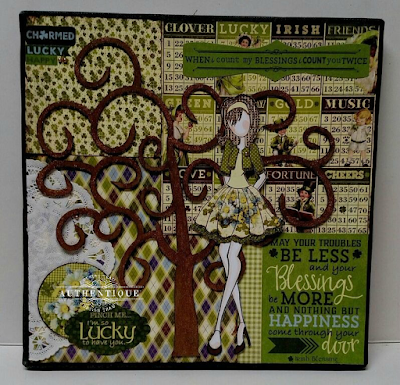 I'm happy to be sharing my Lucky Canvas Project featuring the "Charmed" collection. This project isn't just for St. Patty's Day. It's a great reminder of how lucky I am each and every day. 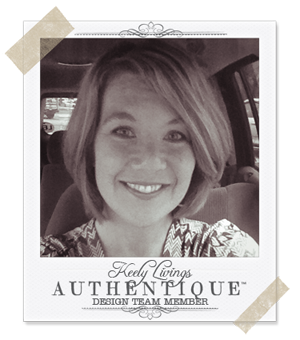 I love creating paper projects with lots of dimension and layering. A canvas project provides a good base and can be displayed by hanging or on a stand. To begin, I painted the 12"x 12" canvas black and layered 4 pieces of 6"x 6" patterned paper. I took this great chipboard tree, covered it with sepia ink and gold glitter glue, then adhered to the canvas. 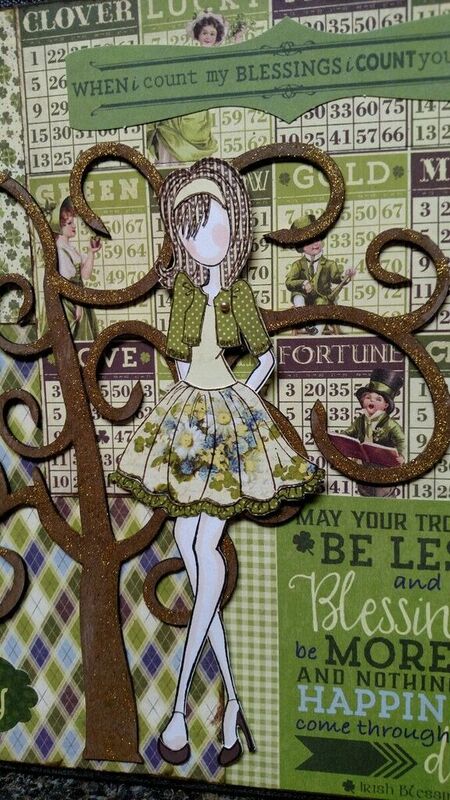 I stamped one of my favorite Julie Nutting dolls on white chipboard and stamped each part of the clothing on my desired patterned paper. I placed some highlights on the skin of my doll with Copic markers, cut out the clothing/hair and adhered. Isn't she the cutest? The final touches to this canvas include a portion of a paper doily, a few self-adhesive pearls, and those fabulous "Charmed" stickers and diecuts. It turned out really wonderful!